Republicans and Democrats in Washington are vying to appear the more outraged by sexual harassment on Capitol Hill. Don't be fooled. Groping, suggestive remarks and quid pro quos are business as usual on the Hill, thanks to a cover-up scheme devised by Congress itself using taxpayer dollars. The real scandal is that we the people pay the settlement costs and legal fees when members of Congress get caught with their pants down. 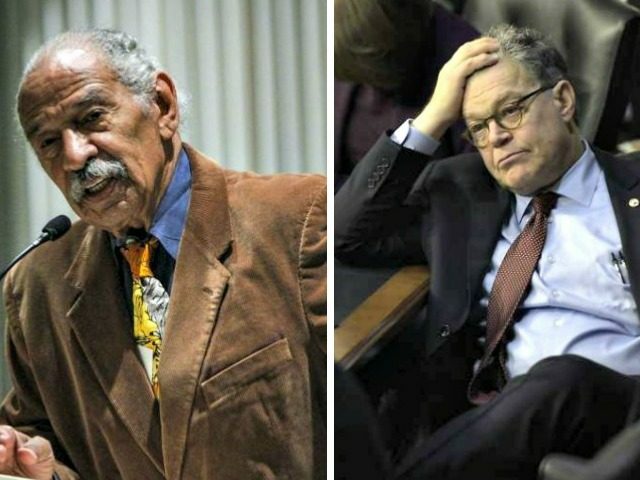 On Monday, the website BuzzFeed reported that in 2015 Michigan Rep. John Conyers, top Democrat on the House Judiciary Committee and the longest-serving current House member, used taxpayer funds to settle a complaint from a staff member about unwanted sexual advances. The $27,000 was paid in exchange for a confidentiality agreement. On Tuesday, Conyers denied harassing anyone, but acknowledged the settlement. This year alone, the U.S. Treasury has confidentially paid $934,754 to settle sexual harassment and other complaints against members of Congress and their staff. Similar hush money has been paid out yearly, since Congress passed the Congressional Accountability Act. The 1995 law makes members and their employees anything but accountable. If they're accused of discrimination or harassment, their settlement costs get bankrolled by taxpayers. Secretly. This is an important moment in history. What the GOP does now matters-- a lot. First, all claims in the last 10 years or so, need to be made public. McConnell and Ryan need to step up and make this happen. Stop this "oh yeah, we'll look into it . . . " crap. Let the chips fall where they may. Clean house. Third, the religious right needs to either actually BE the religious right, or shut the hell up about their so-called values, and leave conservatism alone. The GOP has become a stew of hypocrisy, immorality, and cowardice. If you don't think it matters, you're clueless. We warned you all that electing a sexual abuser was a bad idea! Did this really need to be said?! What are the children in America supposed to think now? Also, this creep Barton needs to resign in disgrace. Imagine the audacity, in his situation, to actually call the capitol police to investigate. The man has no shame. He ought to crawl in a hole. Some R's these days are incapable of embarrassment.